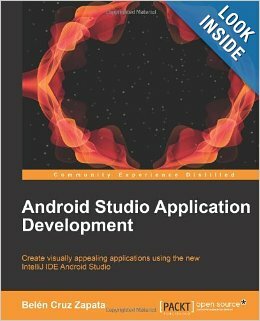 “Android Studio Application Development” is a practical guide that will show you how to develop and build Android apps using this new, integrated development environment. Following a tutorial approach, this book will progress from the basics features up until the steps to build for release, using real world examples. This book is a must have for every Android app developer evangelist. 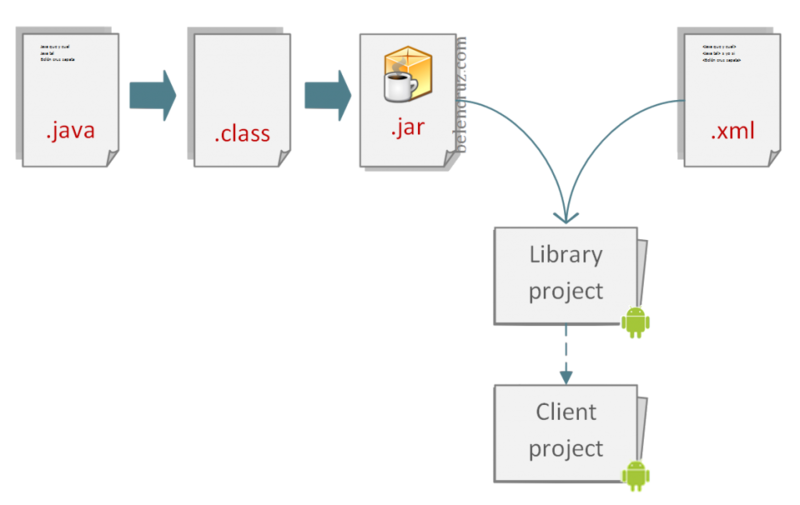 Libraries in Android. Part I. Create a java project to add just the code, not resources. Export the java project to a JAR file excluding the source code. Create a Library Project to include the resources. Add to the Library Project the previous created JAR. The client project will import the Library Project which contains the resources and the JAR file. Let’s show a short example. Suppose we want to create a library to provide a log-in screen to authenticate users in our system. We want to keep the code that connects to our servers and authenticates the users in private. We also want to provide the user interface in order to maintain our own corporative design. Create a Java project and create a package and a class in it. Let’s name the class “Authenticator”, a final class with one static method. * Method to authenticate users. Export the project to a .JAR file excluding the source code. If you are using eclipse, then in the export dialog, just check the “Export generated class files and resources” option, but don’t check the option “Export Java source files and resources“. 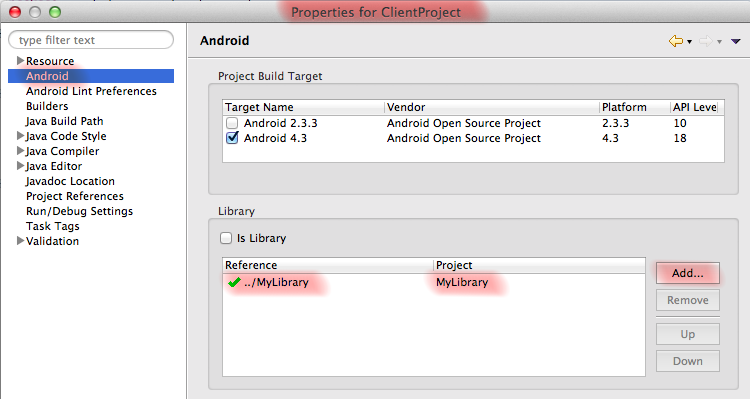 Create a new Android project and check it as a library project. 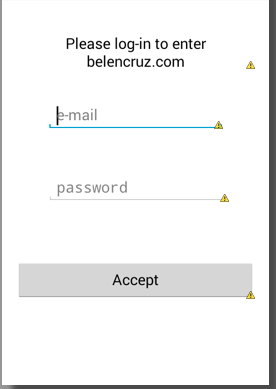 Open the main layout and create a simple login layout. To avoid conflicts between names, it is a good idea to change the name of this layout file, for example, to “library_activity_main.xml”. * When user clicks the Accept button. Login. In this method, we get the user credentials from the layout and start the authentication process. Since the login is a costly process, we execute it in a new thread. To simplify the example, I used a Runnable object, a better way would have been the use of an AsyncTask. 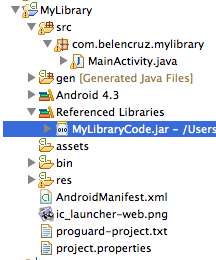 The project library is now ready to be imported in other Android projects. Create a new Android project, not library this time. Add the library project to this new one.